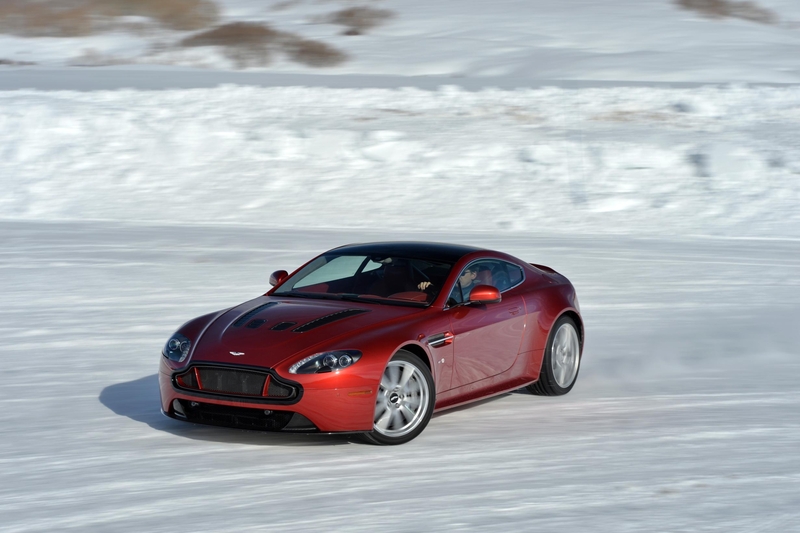 31 January 2014, Newport Pagnell, Buckinghamshire: Aston Martin Works’ Managing Director Kingsley Riding-Felce has scooped a top honour from Aston Martin enthusiasts for his decades of sterling service to the marque and its owners in the UK and around the world. 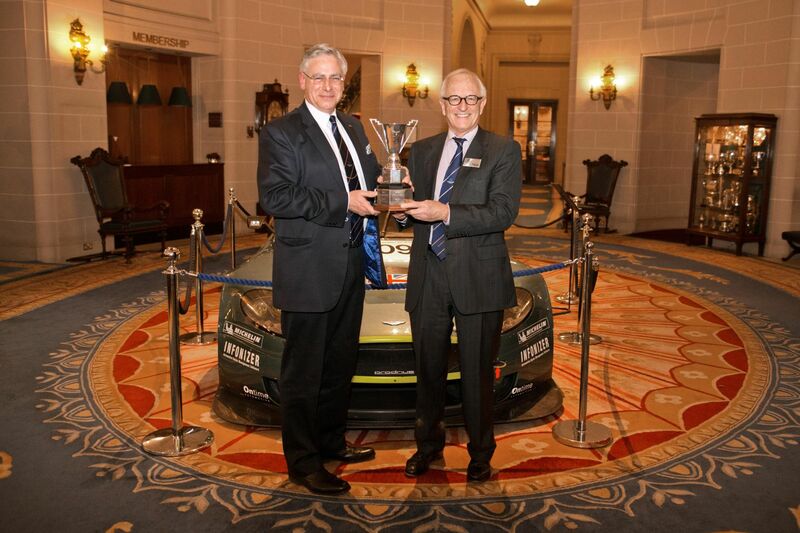 At a recent event in London’s historic Royal Automobile Club on Pall Mall, Kingsley was presented with the prestigious Mortimer (Mort) Morris-Goodall Trophy by Roger Carey, Chairman of the Aston Martin Heritage Trust. 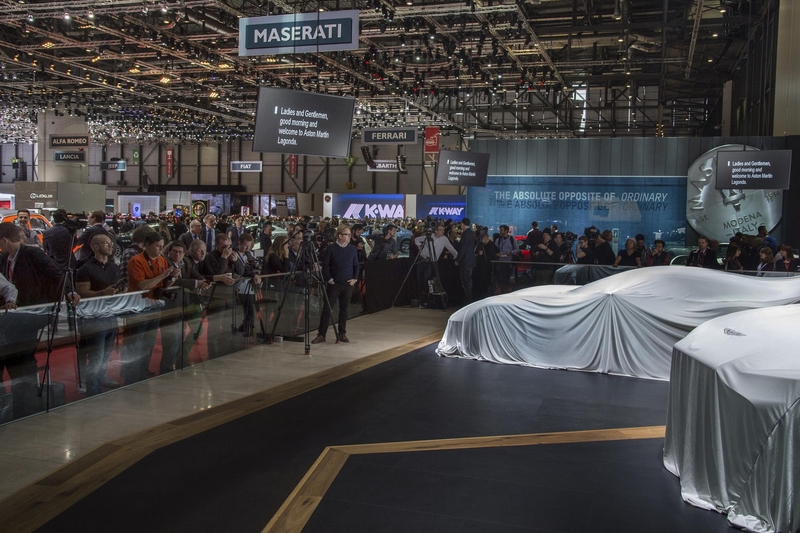 The award is given out annually to key members of the Aston Martin fraternity who are recognised as having made an outstanding contribution to the preservation and progress of the 101-year British luxury sports car brand. Previous winners include the late Ted Cutting, engineer and designer of the 1959 Le Mans-winning DBR1. 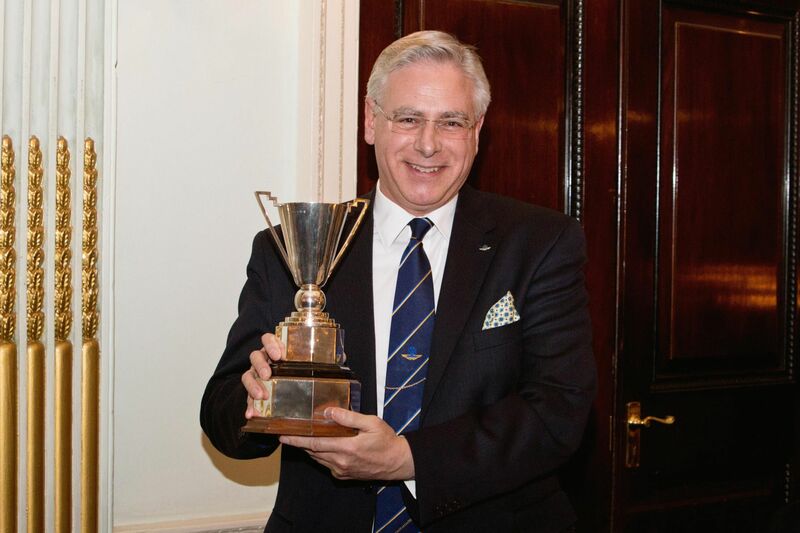 The Aston Martin Works Managing Director received the trophy at the Heritage Trust’s annual Walter Hayes Memorial Lecture, where it was presented in recognition of the enormous contribution he has made to the Trust and Aston Martin’s heritage. 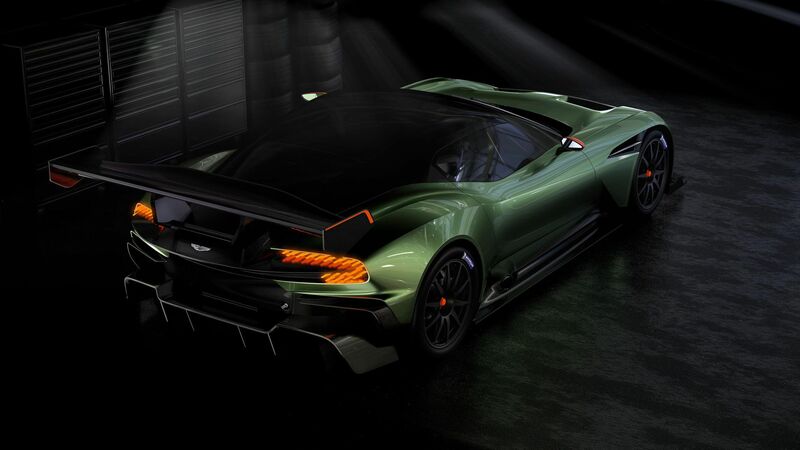 Kingsley has worked for Aston Martin for almost 38 years, joining the business in 1976 as an engine builder. Within a year he had been promoted to become a service technician and then took over the running of service reception at Newport Pagnell. Through the ‘80s spells in dealer development, sales, marketing, warranty and parts all followed before Kingsley was tasked with establishing Works Service at Newport, a business that ran alongside the factory and, at that time, undertook the coachbuilding of individual cars for discerning clients around the world. 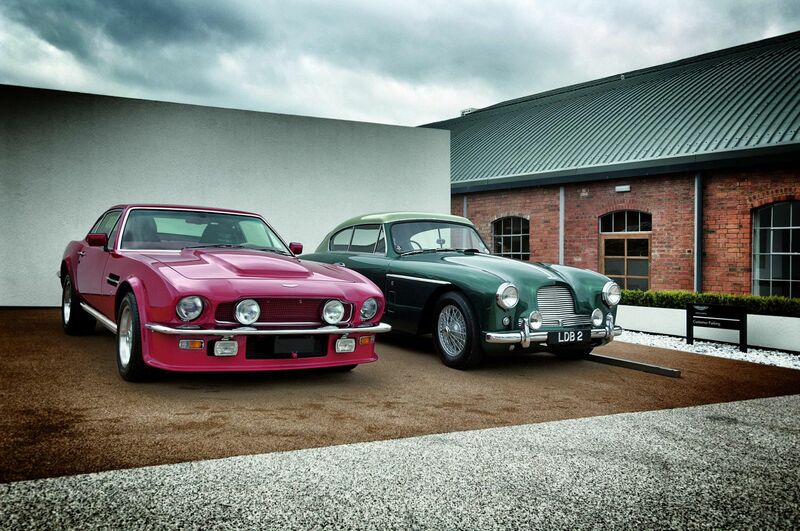 Under his leadership Works Service set the gold standard for Aston Martin personalisation and bespoke customer service. 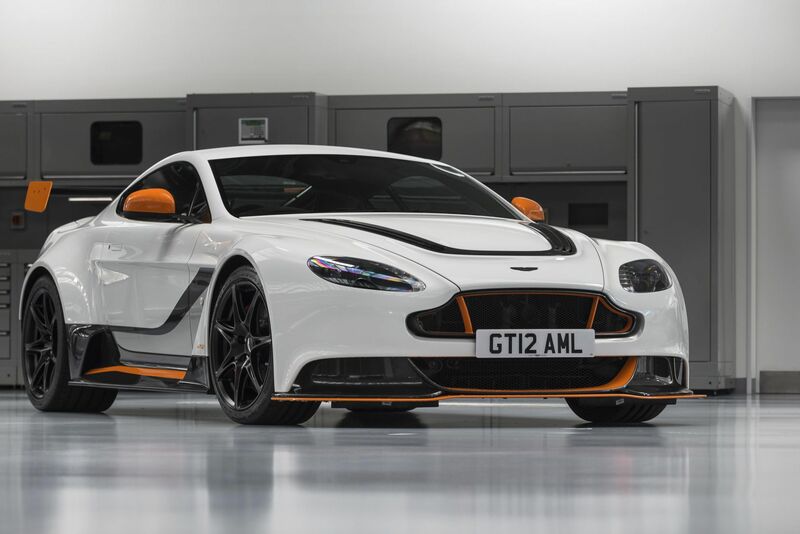 Recently, the Newport Pagnell home of Works Service – now known as Aston Martin Works – has undergone a multi-million pound redevelopment to become a global centre of excellence for Aston Martin sales, servicing, repair and restoration. 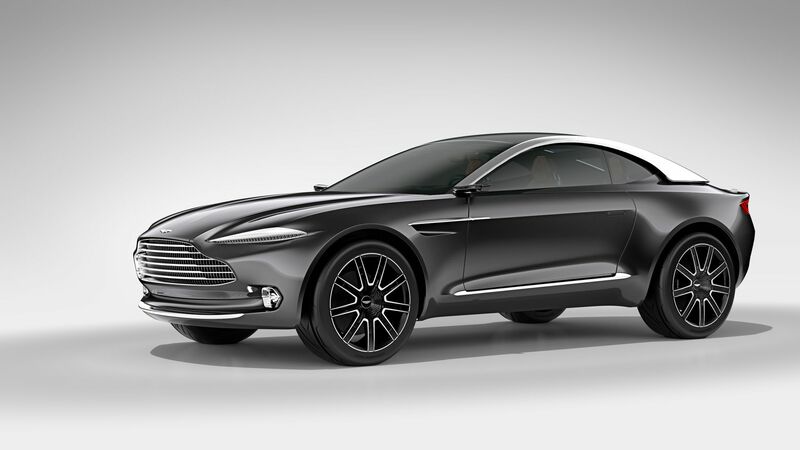 In addition to his duties as Managing Director of Aston Martin Works Kingsley is, at 22 years, the longest-serving director on the main board of Aston Martin Lagonda Ltd. He is also a trustee of both the Aston Martin Heritage Trust and the British Motor Industry Heritage Trust at Gaydon in Warwickshire.